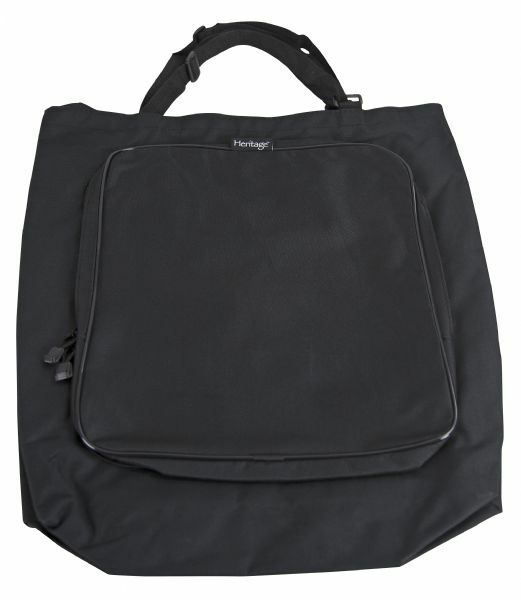 A rugged yet versatile water-resistant black nylon bag with zippered top. 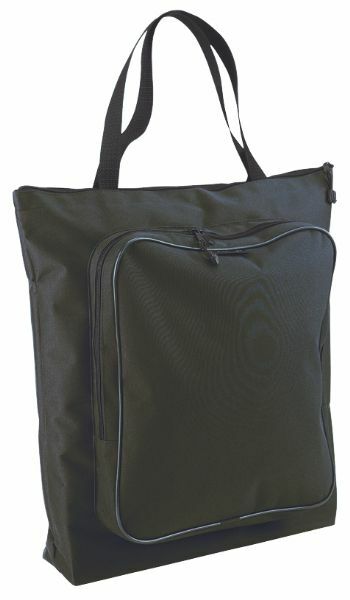 * Main compartment holds items up to 17"h x 14"w x 3½"d.
* Large capacity zippered front pocket holds contents up to 12" x 13". 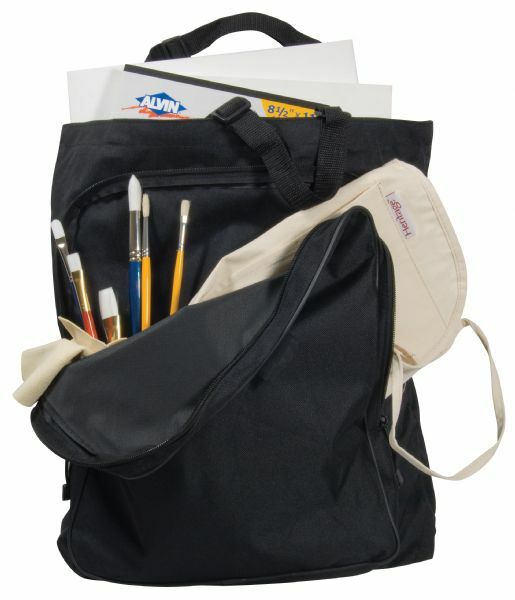 * Rear pocket with hook & loop fastener holds items up to 6" x 6". * Inner pocket holds additional supplies. * Extra long carry handles conveniently fit over the shoulder. The size is 3 1/2"d x 14"w x 17"h.
19" x 17.5" x 1"